A lot of stuff happened yesterday that I wasn’t able to keep up with, so now it’s time to play catch-up little by little. First, if you’re a fan of Game Center CX (also known as Retro Game Master) then you’ll be happy to know there’s a new Wii U Virtual Console video of Arino playing MOTHER 2! I haven’t watched it yet but I’ll update this post later with a few more details. Unfortunately, I’m pretty sure this is a Japanese Wii U-only thing, but it sounds like there’s already work going on to get it subbed too, so look forward to that! This is so painful to watch. Bring it to the west! I really have to track down the fansub team’s site since they were really good quality subs! Hope they’ll do this video too! There are actually a few different fansub teams. Two I know of are “Last Continue GCCX” and “SA GCCX”. There’s also a GCCX Synchtube which I’ve never tried myself but is apparently a non-stop stream of subtitled GCCX videos. Hopefully that’ll push you in the right direction! Nice! 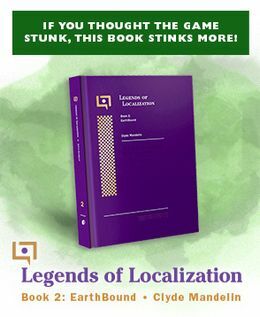 I’m a big fan of GCCX so I’m really looking forward to this. 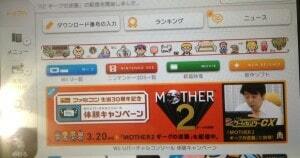 Arino has already revealed himself to be a Mother uber-fan — he even knew the Mother and Mother 2 taglines offhand. I’m so excited I could burst.